The way you conduct yourself is an indicator of who you are as a person. Whether you slouch, hunch or straighten up – everything says something about you. When we feel confident, out body language reflects that and the other way round. It’s hard to smile and think of something sad. Or feel energetic with drooping shoulders. The mind and the body are so inseparably connected that one can manipulate one to control the other. However, working on our body language and building confidence takes time and effort. Unless for some people who are naturally confident. But for most of us, we have to work on our self esteem and feel positive over a period of time. But what if I told you that you can feel confident in just a few minutes? Wouldn’t that be great! Some things work like magic to dispel the gloom of nervousness and make you feel confident in no time. I routinely use them to project confidence and they work for me 100% of the times. How to feel confident in 5 minutes? Smile: To illustrate the power of a smile, I usually tell the participants in my class to smile and then think of a bad memory. Go on. Try doing it. It’s hard isn’t it? A smile is that magical power that boosts our mood and uplifts our spirits. A pleasant smile when you meet people for the first time – in a interview or for a meeting – can make you feel confident instantly. Even others perceive you positively when you smile. Smile, dress up, wear heels and stand tall! Eye contact: Looking into people’s eyes when you talk to them is a sure way of projecting positive self-esteem. If you look away or don’t meet the eye, you are trying to hide something or not confident facing people. Don’t stare. But look at people when while the conversation is going on. Dress up (or down): Appropriate dressing is one the simple things that you can do to feel good about yourself. Imagine standing in front of your senior management for a presentation in pajamas and T shirt with floaters! Does that make you feel upto the task? Would your superiors take you seriously? So dress up like a professional and you will feel like one. Similarly, dressed in formals for a traditional do would also look odd. Right clothes also make the right impact on the people you meet. It’s worth spending time and money on well-fitted clothes. Choose your attire according to the occasion – formal, semiformal, casual or full on formals with coat and tie. Looking your part automatically makes you feel the part. Wear heels (mostly for women): Here’s a little thing for you to try. Wear your everyday slippers and walk the length of your room. Now, slip into your party shoes, which you probably wear only on special occasions and walk the length of the room. If you can have someone to look at your walk and point out the difference, even better. But even if you are alone, did you feel the difference in the way you walked in the two sets of footwear? Did you feel you were standing tall in heels and strode a tad bit more confidently in them than in the flat ones? Heels intimidate a lot of women and I often hear them dismiss the idea with a wave of their hand with a “I just cant wear heels.” Yes, heels are uncomfortable. At least more than the comfort that padded flats offer. But I am not asking you to wear 6 inch stilettos to work. That is not just unadvisable but also harmful. I am talking about maybe minimum 1-2 inches of heel even if it is broad ones. You will definitely see the instant difference in your gait and your resulting levels of confidence. Even men can benefit by wearing shoes that has even a small heel than fully flat soles. Try it! Stand tall: Your body language automatically slumps when you aren’t feeling confident inside. So what do you do? You just fake it till you make it! Just like smiling, you will not be able to feel energetic while slouching in a chair. Stand tall (and not just because of your heels), keep your chin up, pull your shoulders back and make a positive impact on the onlookers. Sit straight if you have to and look at the people talking to you. Positive self-talk: Tell yourself “I am the best”. I know it sounds like one of those cheesy lines in the pep talk videos but it works. Feeling your best in a tense situation will help you project it. How to feel confident all the time? So far, we have looked at things that can work on a short notice. But there are things that you can do to develop yourself as a positive and confident person at all times. This will take some time and effort on your part. But it is totally worth it. Though, all the above things that I have mentioned are short cuts to a more long term process. Think positive: It’s as simple as it sounds. People are usually surprised when I confidently tell them that I know I am the best. Apparently its taken as a sign of pride to feel good about yourself and articulate the same. But my logic is – if you don’t feel good about yourself, no one else will. If you don’t believe you are the best, you will never be able to convince others that you are. It’s all about self-esteem. So go ahead and indulge yourself in some vanity! That’s ok! Focus on your strengths: It makes us feel good when we can share what we are good at with others. It gives us a sense of power and naturally boosts our confidence levels. Understand what is that you are good at and try to bring that into your transactions. You could be a good listener, handle stress well, make useful notes, put together a working code in no time, set up systems like magic – it could be anything. Knowing your strengths gives you the confidence that you are at par with the others. They have their strong points and so do you. Give/volunteer: The best thing to do it to give someone something they cant return. Humans are more inclined towards looking at the negatives in life. Or things that aren’t in our favour. But if we look around, we have been blessed with enough abundance to be able to share it with others. And the happiness of giving is like no other. Now, I am not saying that you start donating a part of your salary to the next NGO. It’s not money that matters always. You kindness, time and presence could bring succor to someone’e life. How about beginning by helping out colleagues who need help with any of their tasks? There might be friends or family members who can do with some assistance. Maybe some old people in your building who might need to be looked after. Giving happiness is the best way to feel happy and good about oneself. And karma is a boomerang. What you give will come back to you. Pursue your hobbies: Spending time on one thing that you love the most can be a great confidence booster. It stimulates parts of the brain that makes us feel good and in control of things. Hobbies also help develop a set of skills which can be useful in everyday life. So whether it is cooking, painting, driving, gardening, reading, music, art and craft or whatever it is that you love – it’s worth taking the time out for it on a regular basis. Compliment people: This might sound too small a thing to do. But complimenting someone is not just about saying nice things about them. It is form of giving when you observe people. It could be a nice job that they did or an outfit that suits them. This also helps bond with people make your relationships stronger. It shows that you care enough about people to notice the good about them. This also boosts our self-image. Practice body language: As mentioned above, body language can be a great way to project confidence. 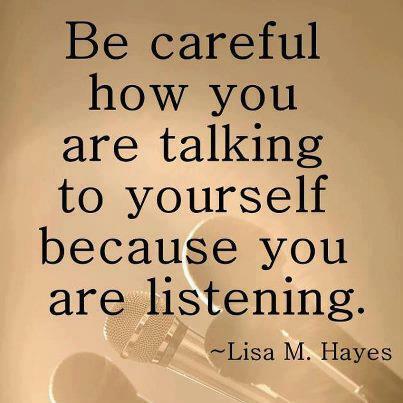 Work on it in the long run to project a positive body talk all the time. For instance, if you find yourself slumping frequently in your chair, correct yourself every time you notice it. Practice other areas of good body language so that you have, without much thought or effort, a firm handshake, a pleasant smile, the right posture at all times. Learn to speak well: The art of speaking well is worth practicing. Being prepared with well rehearsed answers for common situations is also a great way to come across confident. For instance, introducing yourself and talking about your profession in the right tone and using the right words definitely leaves a positive first impression. Gradually, the art form becomes a habit and you can become naturally articulate. You may find some points overlapping with each other. But that is because projecting a positive image is a mix of many elements put together. Working on them separately and throwing them together is the key. Suggested activity: choose any 2 points in the list of long term confidence building and start working on them. Try out the quick tip and drop me a line about what worked and what didn’t. I’d love to hear from you. Great points, Suman! Especially the one ‘Think Positive’ never fails. Positive thinking automatically results in a surge of confidence. All the points you listed are very good, Suman. For me what I have found to have really worked has been thinking positively and complimenting people. Thank you for taking the time out to comment, Milind. I am glad that you agree that giving can be a huge boost to one’s confidence. I wish more people understood this concept and spread joy instead of negative emotions.